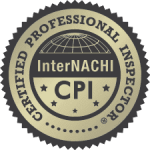 We are committed to providing a quality inspections and excellent customer service. Our priority is client relationships; assisting you before, during and after your inspection. We are a full service home inspection company providing home inspections, wind mitigations, seller inspection, 4point inspections, roof certifications and more. With over 11,000 inspections completed and 14 years’ experience we service Palm Beach, Martin, St. Lucie and Indian River Counties. Thorough, easy to talk to, honest and professional in every way. Kyle was professional, good communication skills and clearly did a comprehensive job of inspecting my soon to be property. I would, without reservation, recommend Accurate Home Inspections of South Florida. I LOVE Accurate Home Inspections and the staff. I've been using Scott Keiper for my inspections for almost 11 years. He is very knowledgeable and very professional. I highly recommend him. Accurate Homes Inspection is definitely my number one choice for home inspections. We saw eye to eye an everything! This is the second time that I have used Accurate Home Inspection. The first time Scott was our inspector and the second time Kyle was. Both were extremely knowledgeable and paid attention to every little detail. Their price is very competitive and the warranty they offer along with inspection is beyond compare! Highly recommend! ACCURATE HOME INSPECTIONS OF SOUTH FLORIDA provides valuable information about the condition of a house.